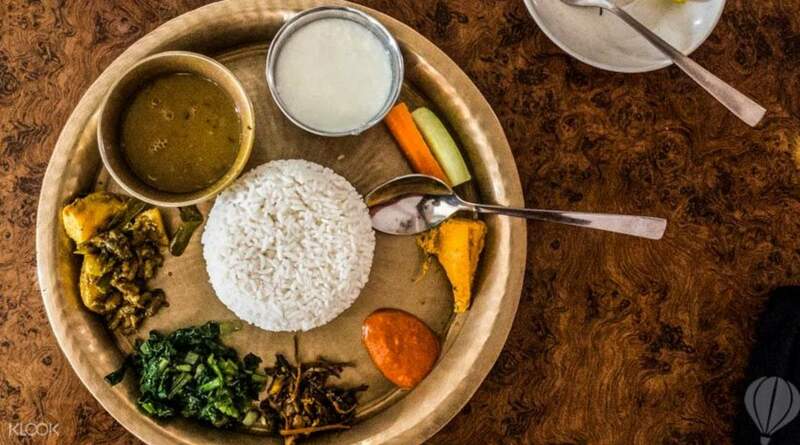 They say one of the best ways to know a culture is through its cuisine – so expect to enjoy a slice of authentic Nepali life in this authentic, local cooking class! Opt for a morning or afternoon class which includes a visit to a local market where you'll get an authentic experience shopping for the freshest ingredients. Hop on a fun rickshaw ride back to the cooking school where you'll learn to whip up everyday home-cooked meals, featuring authentic local foodstuff like dhalbhat, a savory rice special served with lentils, curry meat or fish, and various spices; momos, the local version of Japanese gyozas; and sel roti, the sweet bread treat. You'll also pick up some Nepali phrases along the way! Overall, it was a great experience. 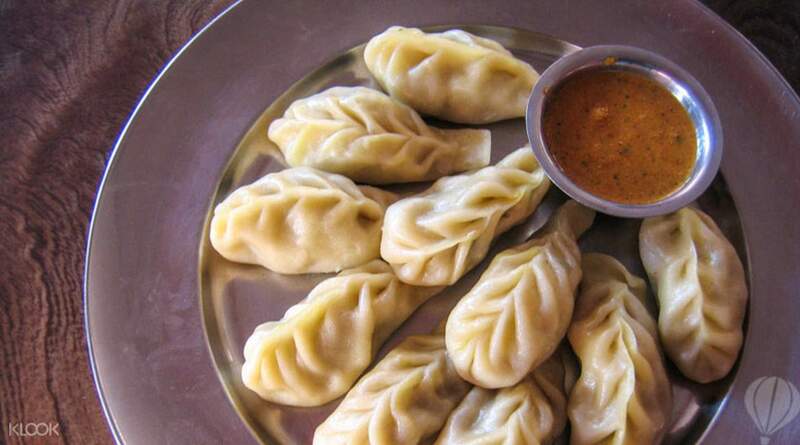 A good way to start your Nepal trip especially if you are like me that is a bit hesitant to try out new food. Nothing unusual in the ingredients that we used except for their local spices, food tasted fantastic. Got us ready to try more Nepali food during our trip. Don’t expect a spacious kitchen, it was like your typical Asian kitchen. But the experience and the chefs were fantastic. The trip to the market was exciting as well. You’ll get to experience the local way of shopping for food. I would recommend you do this on your first day. Overall, it was a great experience. A good way to start your Nepal trip especially if you are like me that is a bit hesitant to try out new food. Nothing unusual in the ingredients that we used except for their local spices, food tasted fantastic. Got us ready to try more Nepali food during our trip. Don’t expect a spacious kitchen, it was like your typical Asian kitchen. But the experience and the chefs were fantastic. The trip to the market was exciting as well. You’ll get to experience the local way of shopping for food. I would recommend you do this on your first day. Had a morning class with Vina and Varsha. Went to the market to buy ingredients and rode a rickshaw back to the hotel. Vina and Varsha were very friendly and helpful. They taught us 1 set of menu with egg rolls, dal bat, curry, momo, etc. Facilities were also very clean. Very recommended when in Nepal if you would like to learn Nepalese culture. Had a morning class with Vina and Varsha. Went to the market to buy ingredients and rode a rickshaw back to the hotel. Vina and Varsha were very friendly and helpful. They taught us 1 set of menu with egg rolls, dal bat, curry, momo, etc. Facilities were also very clean. Very recommended when in Nepal if you would like to learn Nepalese culture. Amrit and Anu are such gracious hosts and really let you get your hands dirty in the kitchen. They tweaked their menu to make it entirely vegetarian for us. The location is in an apartment complex which was damaged by the recent earthquake. Once Nepal is back on your travel radar, check them out and help them get back on their feet! Amrit and Anu are such gracious hosts and really let you get your hands dirty in the kitchen. They tweaked their menu to make it entirely vegetarian for us. The location is in an apartment complex which was damaged by the recent earthquake. Once Nepal is back on your travel radar, check them out and help them get back on their feet! My husband and I did the half day course this morning. I think this should be on everyone's must-do list in Kathmandu. It isn't just a cooking course, but a great way to learn about the Nepalese way of life. We had 6 people on our course which was a good amount and there was lots of hands on learning. We were picked up from our hotel and met Amrit for a tour of the market place. We were able to learn about the different ingredients and taste test items that were unknown to us. Next we returned to Amrit's home, where his very clever daughter taught us to make vegetable steamed momos, dahl bat, rice pudding and special ceremonial bread. We were able to feast on each course as we made it. There was much laughter about our dubious skills in folding momos, and dropping the ceremonial bread into the hot oil is clearly an art form we were yet to master, but it made for a very entertaining morning. I look forward to trying more Nepalese cooking when I get home to NZ. To be invited into someone's home to learn about their food and culture feels very privileged (and we were made to feel extremely welcome) and I would highly recommend this to anyone visiting Kathmandu. My husband and I did the half day course this morning. I think this should be on everyone's must-do list in Kathmandu. It isn't just a cooking course, but a great way to learn about the Nepalese way of life. We had 6 people on our course which was a good amount and there was lots of hands on learning. We were picked up from our hotel and met Amrit for a tour of the market place. We were able to learn about the different ingredients and taste test items that were unknown to us. 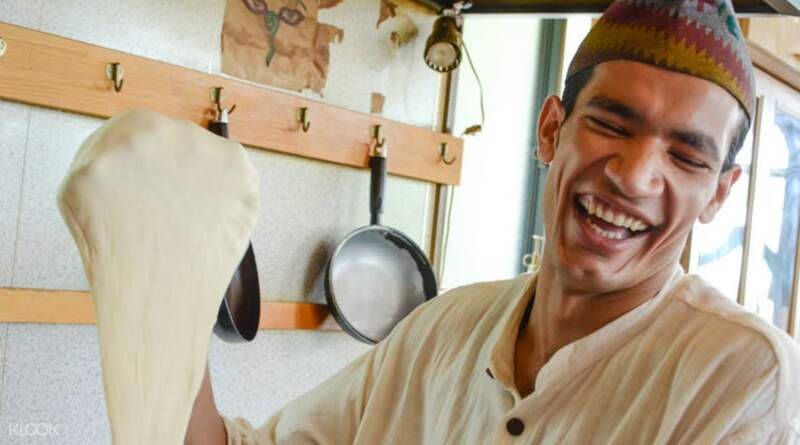 Next we returned to Amrit's home, where his very clever daughter taught us to make vegetable steamed momos, dahl bat, rice pudding and special ceremonial bread. We were able to feast on each course as we made it. There was much laughter about our dubious skills in folding momos, and dropping the ceremonial bread into the hot oil is clearly an art form we were yet to master, but it made for a very entertaining morning. I look forward to trying more Nepalese cooking when I get home to NZ. To be invited into someone's home to learn about their food and culture feels very privileged (and we were made to feel extremely welcome) and I would highly recommend this to anyone visiting Kathmandu. The half day Nepalese cooking course with Amrit, Anu and their son was one of the highlights of my trip to Nepal, the family were so welcoming and friendly and the food absolutely delicious. Amrit picked me up from my hotel and we went around the markets where the locals buy their produce to get all the ingredients, a great experience in itself. I'm not a great cook but Amrit and Anu were patient and made sure I was involved and understanding what was happening. And then the highlight of course, eating the food! Thank you for a lovely morning, looking forward to seeing you next time I'm in Nepal. The half day Nepalese cooking course with Amrit, Anu and their son was one of the highlights of my trip to Nepal, the family were so welcoming and friendly and the food absolutely delicious. Amrit picked me up from my hotel and we went around the markets where the locals buy their produce to get all the ingredients, a great experience in itself. I'm not a great cook but Amrit and Anu were patient and made sure I was involved and understanding what was happening. And then the highlight of course, eating the food! Thank you for a lovely morning, looking forward to seeing you next time I'm in Nepal. Wonderful cooking class. The teachers are very nice and local people are very friendly. Wonderful cooking class. The teachers are very nice and local people are very friendly. I love cooking so it was fun to know how to cook Nepali dish. I love cooking so it was fun to know how to cook Nepali dish.